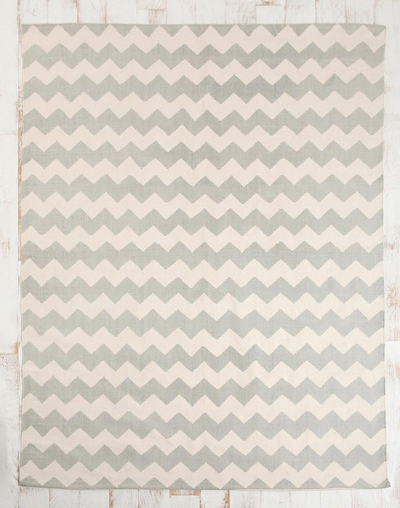 This Grey Zigzag Rug is a woven cotton rug topped with a hypnotizing zigzag print. Finished with stitched edges. $19-$199. Buy here.